Level monitoring is critical for accurate fill level data from tanks and storage containers, and for a wide range of engineering projects. At Applications Engineering we supply high quality level switches and sensors for the measurement of single or multiple fluid levels. We offer numerous float and mounting options and our level sensors and switches come in a variety of materials, including plastic, stainless steel and alloy metal. We also specialise in marine, industrial and pump control level switches, and can custom make level monitoring solutions for any engineering project. Accurate level monitoring can lower costs, prevent damage from leaks that would otherwise remain undetected, and act as an alert for theft. Accurate level data is essential for efficient remote tank management, and to ensure supply chain logistics run smoothly. 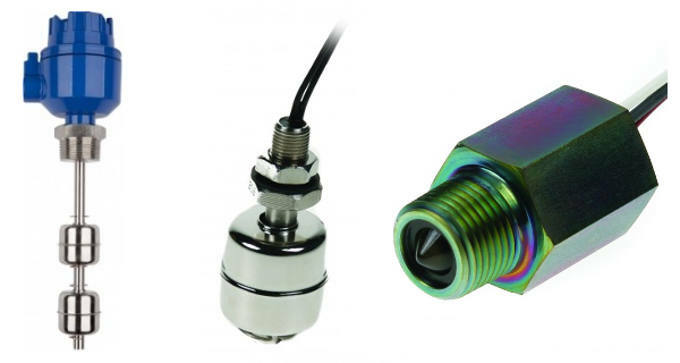 Pressure sensors are commonly used to monitor the fluid levels of tanks in a diverse range of industries. Poor quality or imprecise sensors result in a lack of accuracy and this can lead to process alterations, equipment damage and possible overflows and leaks. This is especially common when working with small tanks and low pressure. Level sensor technology covers a broad range of options, but not every sensor system can be used for every application. Characteristics for individual applications can differ widely and specific sensor design will be required to deal with varying densities and challenges. Tank size, container material and current installations will also affect the appropriate selection of sensors. For example, for tanks where access to the top and bottom is difficult or impossible, a horizontal level switch will be the most suitable. Level switches with a slosh shield are ideal for use in small tanks holding turbulent liquids. While you can’t totally protect your tank against theft, you can take measures to make theft more difficult. Fitting suitable locks and lockable valves is advisable. You may also want to consider motion sensor security lighting and/or CCTV around the area where your tank or project is situated to deter thieves. Leaks and thefts can be detected immediately if installations are fitted with an alarm that reacts if the tank level drops suddenly. Sensor alarms can also work to provide an alert for overflow events. Secondary containment is used as a second line of defence for preventing, controlling and mitigating hazards from run outs, spills and leaks. Bunds should be used around storage tanks where flammable or toxic liquids are held. Drip trays are used beneath equipment liable to small leaks, such as pumps. Sensors within bunds should be set to activate an alarm at a set level. Regular inspection and maintenance of tanks and engineering equipment is imperative in order to detect any weak spots and thus prevent leaks, run-outs and spills. Careful monitoring of levels will also ensure any changes from the norm are dealt with quickly. All of our level switches have been rigorously tested to ensure peace of mind. If you would like more information about our level switches or any of our products, call our expert team on 01825 764737.